Reliability is a really abstract concept. Sure, there are superbly engineered cars which were made to last a lifetime, stuff full of high quality materials and that will be far more trustworthy and lasting than any modern electronic dependent, plasticy thing. But even those will reach breaking point if not properly cared for; no surprises there. So if even the roach equivalents of the auto world – and I say “roach” in the nicest, most caring way possible – need attention, let alone the more sensitive stuff. In any case, whenever you’re thinking about parting with a few of your hard earned cash to buy a used car, keep in mind that there’s absolutely no substitute for good previous ownership. Timely maintenance and not half assing repairs is essential, especially in big, heavy cars which are more prone to parts wear, so the guy who’s been driving your new old baby for the last few years needs to have kept a close eye on things. Admittedly, it can be tempting to get a dirt cheap little fixer upper, but your wallet and brain will both justifiably beat you savagely for that decision in no time. Spend a little bit more and get something that’s been loved and that’s accompanied by a decent service history. But before starting to write checks with many zeros (more than one is many for me; don’t judge), there are a couple more things to keep in mind. Number one: are you handy with a wrench? No? Yeah, you’ll need to start giving it a shot. Of course that if you’re thinking about getting this kind of ride (old, big, TLC dependent), you’re already a car oriented guy/girl so you won’t be totally clueless, but sometimes there’s stuff that not being exactly difficult, has a very specific way about it. It’s time consuming and needs to be done just right, otherwise you’ll pay dearly down the road for trying to cut corners. Getting a good car to begin with doesn’t mean it won’t need a lot of your attention, it most definitely will, so pick up your Haynes or equivalent workshop manual and start to tackle small stuff if you’re a novice, working up to bigger challenges later on. Good news is that whatever problem you’re gonna have, you won’t be the first person in the world to come across it, so join an owner’s club/community/website, look up the problem online and odds are a good Samaritan has already posted a detailed account of whatever work your car needs done. This brings me to necessity number two: space. I just recently dropped one of my cars at a garage because I didn’t have the space to work on it. Personally I loathe going to mechanics/shops, every single time a little bit of my soul dies. But having no garage, no space whatsoever to work on, I have no choice when it comes to jobs that can’t be done in one day/sitting. If like me you have the revolting misfortune of living in an apartment building but got a buddy/family member who has a big garage or warehouse or whatever somewhere across or outside of town and you think you can stop by on the weekends or after work to wrench on your pride and joy…don’t! You’ll never, ever go. I’m speaking from experience. Any car that will require more frequent attention from you needs to be right there, somewhere you see it every single day, otherwise it will remain broken or neglected forever. No matter how much you try to fight it, when the car isn’t close, anything and everything gets in the way of going to it. From sheer laziness and procrastination to actual time consuming responsibilities, it will always be an “I should go and work on it a while” and never an actual drive to the actual place to do so. Well that was my humble, general two cents so now on to a specific example. 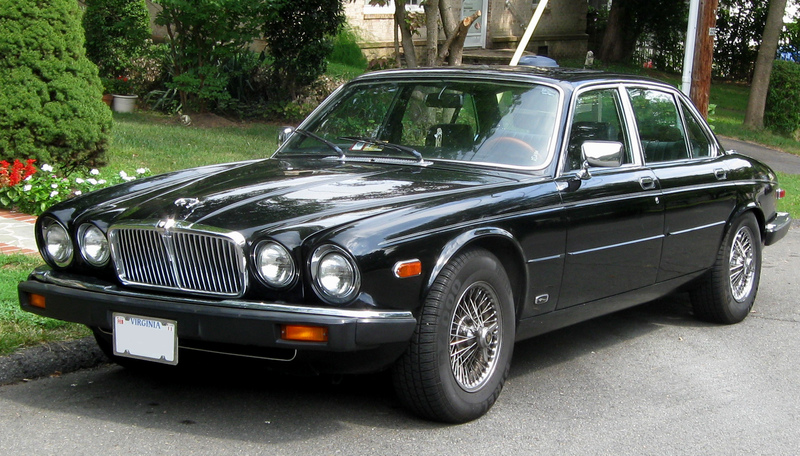 The Jaguar XJ6. I was never a fan of the first gen XJ. For some reason, they always looked a bit wrong to me, there was something off about the looks that turned me off them. Maybe it was the oversized grill – which in turn made the bumper sit excessively low – maybe because up front they feel like a bit of a 1960 Flaminia GT rip off, not sure, but I simply didn’t care for them. However, the Series 2 was a completely different story. From 73 to 74, the XJ got a facelift and damn, what a difference! A few days ago I was losing an arm and a leg to fill up at the friendly neighborhood gas station and there was this guy there with a Series II, 4.2…Absolutely spotless! “You could eat off it” is usually a tired old hyperbole but in this case I’d definitely be ok with that. A fantastic chocolate brown body, chrome shining bright and the sound…Lord, that glorious sound! I fell so desperately in love that it was as if I’d never seen an XJ in my life. I would have tried to buy it right there and then if I could. And here’s why that would have been a horrible, HORRIBLE idea. 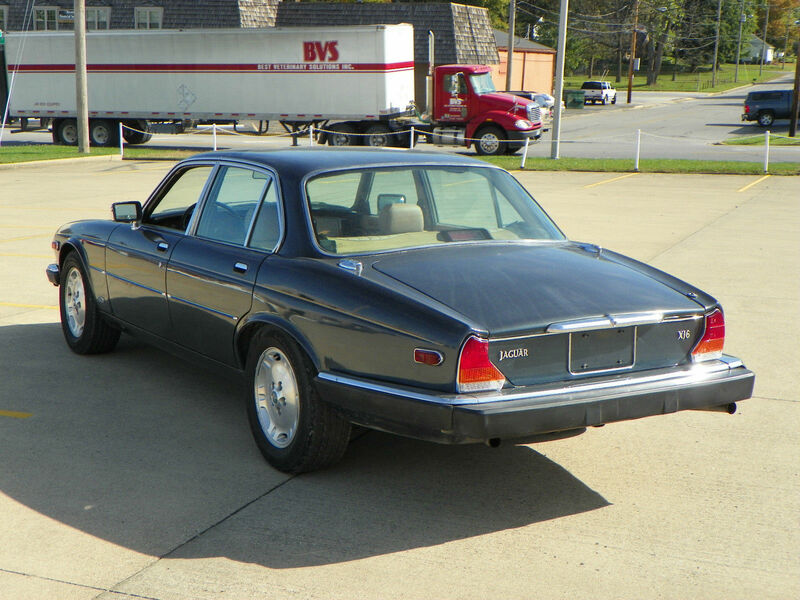 Despite looking spectacular, Series 2 XJs are, unfortunately, pretty terrible cars. Not because of the engineering, but because of 70’s British Leyland. It’s not easy building a good car when half the time workers aren’t working and when they do happen to find themselves at the assembly lines, they don’t give a damn about what they’re doing anyway cause they’re thinking about when the next strike’s gonna be. That coupled with electronics from the prince of darkness and the irresistible urge to rampantly rust that all old Jags proudly display and it’s not hard to see why getting a S2 is a really, really bad idea (on a budget. If you’re wealthy, who cares! Go nuts! Pick up a Lagonda and Stag while you’re at it. Treat yourself). But let’s say that, like it does to me, the idea of rocking a big ol’ Jag still really tickles you. The S1 is expensive and odd, the S2 is expensive and doomed to break down every time you sneeze while driving it, so this leaves you with the S3 which, style wise, is a bit like trying to match paint after a scuff; you can get it to look okay, but it’s never as good as it was before. Pininfarina fiddled with it for 1979 and the personality of the car changed as a result. The XJ went from looking regal, dignified and confident (in its S2 incarnation) to really surprised and uneasy/unsure. Look at it; it’s as if the car’s constantly going “A road! ?…is it…is it safe…? Can…can I go on that…? Oh dear, I don’t feel so good…” But the worst part of the S3, what really puts me off about it is the hideous rubber bumpers situation. Those damn things are an eye sore and uncharacteristically, they were also universal which means that not even in Europe you can escape the rubbery monstrosity. Jag people help me out here: is there a conversion kit of some sort that either lets you adapt S2 chrome bumpers to an S3 or has a company ever made chrome only S3 bumpers? I looked around and couldn’t find anything, but it sure would be a good idea…In any case, since ugly bumpers are only an okay excuse to put you off a car, let’s focus on how much bang for your buck you’d get with a Series 3. As I mentioned, the looks aren’t as good as the predecessor’s, but they’re not hideous either. The basic design is there, it’s immediately recognizable as a classic Jag and that’s great. Obviously immensely comfortable, the issue is and always will be if you can buy it and run it without taking on second and third mortgages. So let’s talk cash. A good straight 6, 4.2L Series 3 (the best version, stay away from V12s…ugh, can’t believe I just said that) – not a show car, but no rust, clean looks and good mechanics – will set you back around six and a half grand in the US, three and a half to four thousand pounds in the UK and way too much money anywhere in Europe, so it usually doesn’t pay to track one down out of the UK. That’s a bit of a double edge sword though because since about 2.4 billion gallons of water fall every single day in the UK, it’s everything but an ideal environment for the rust-loving XJ. However, cars in southern, drier countries like Portugal and France are far from Jag specialists, so they’re often mechanically neglected. Being in the US or Europe, if you’re seriously considering one of these, really take your time choosing. But why go for one anyway? 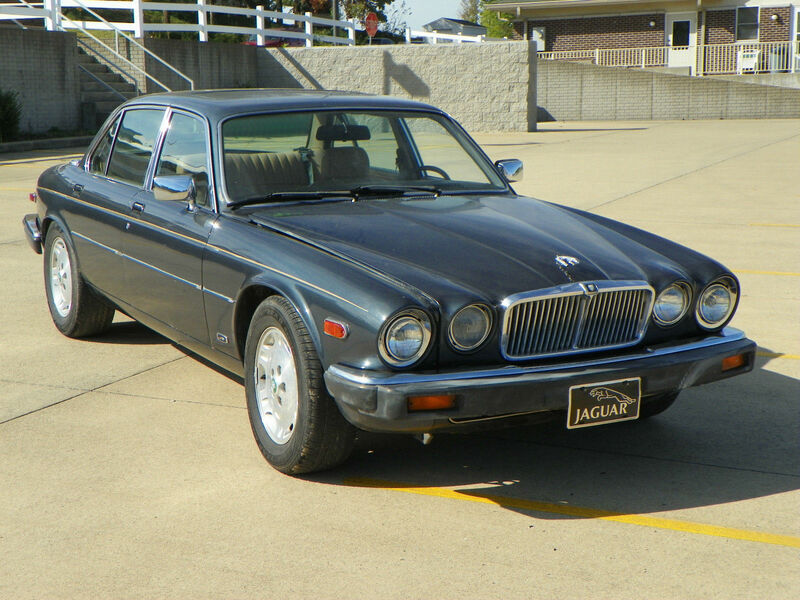 The XJ6 S3 is the most reliable of the old Jags. The X300 is great, but that’s already well into the 90’s, so the S3 is the last of the old school analog tech and because there were a bunch of mistakes with the previous series, this one learned from them, which is great for you. 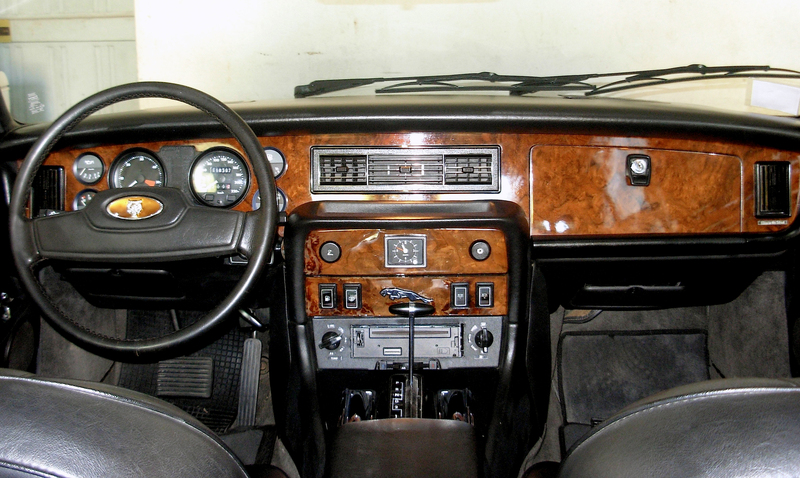 After 1984, Jaguar was no longer under Leyland’s control – thank goodness – so that helped quite a lot with quality. The best S3 years are 1986 and 1987. By 1988 lots of electronic evilness was added with the sole purpose of making your life an unmitigated hell, so they’re not exactly a great option. So far so good right? I mean, it’s not dirt cheap but not particularly crazy pricey compared to any other car…doesn’t seem terrible…if I were to get some space, buy a good S3 to begin with, I could probably pull it off…DAMN IT, BRAIN! Stop it! Okay, okay. In all seriousness: should you do it? Absolutely not. But if you can, definitely go for it anyway. This kind of purchase should be an experience and you never expect a 30 year old car to be in perfect shape (and stay that way forever), no matter what make or model. That’s actually the point! You’re not gonna make an emotional purchase and then not bond with your car and this kind of stuff, the little repairs, the maintenance, that’s when the bonding happens. And that’s why this will not be your daily driver, because when this is on – let’s say – hiatus, your boring old grocery getter is fueled up and ready 24/7, so there’s no stress, no great pressure, you get to appreciate the learning process and be proud of a job well done later on. If the idea of a big old luxury car appeals to you – this kind of XJ or any other ride – you’re aware that it’s not the same thing as picking something fresh of a dealership (and even in that scenario things can go horribly wrong) so bear in mind that while some ill repute is justified, all you have to do is a bit of research and stay clear of certain issues. 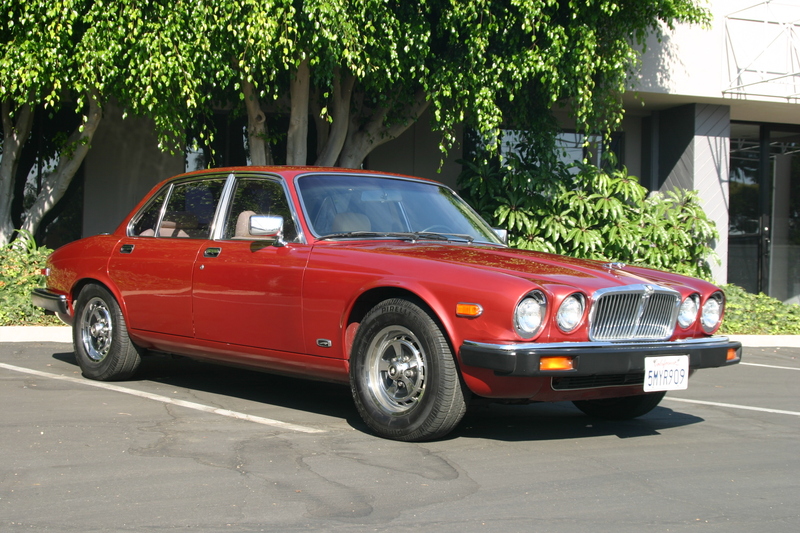 I picked the 86/87 XJ6 as an example because it’s the most trustworthy of its “family” and in pretty much every brand, every segment, every model, there’s always that one car that just works better, the one Goldilocks would appreciate. Find it, the right one and go from there. Pick up a good example and take care of it, enjoy it until you either upgrade or aren’t satisfied with the experience spending/anymore.